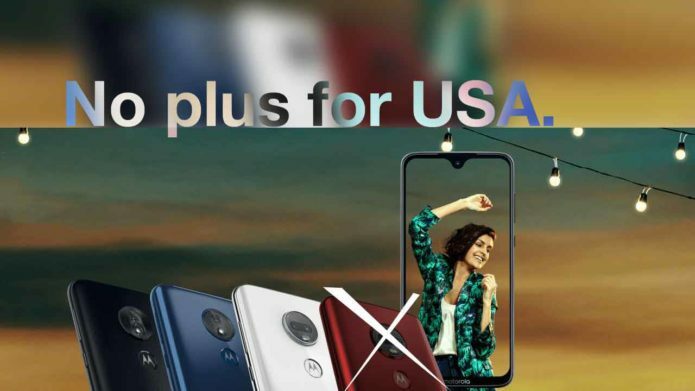 In addition to the Moto G7, Play, and Power, there’s the Motorola Moto G7 Plus. This device’s name implies one thing, but means another. It’s not the sort of “Plus” phone you see with other brands. This device is only slightly different from its closest brethren. Both devices have the same display, internal storage, microSD availability, but the processor is where things start to change. This Plus device has a Qualcomm Snapdragon 636 SoC, which is ever-so-slightly different from the Snapdragon 632 (with the same amount of RAM at 4GB). Though with the same display on both devices, it looks like this processor’s mostly going to be in play to handle the cameras. The Plus features a pair of cameras on the back similar to – but not the same as – the G7 (non-plus).